A large business with excellent revenue, you witness today is not one-day effort. Folks that are planning to involve themselves in startups that can give them big business later, should remember facts behind significant business ideas. In the back of 2000, there was the business that involved physical trading, manufacturing and exporting only but, now things have changed. The world has turned into Global village where everyone wants to remain updated, quick assistance and instant solution to their needs. If we talk about business revenue generated today comparing it with back in 2002, it is reported that Computer Science has made people spell bounded by generating equivalent or more annual outcomes than any other large businesses. It’s just this time intellectual knowledge has worth than ever before. 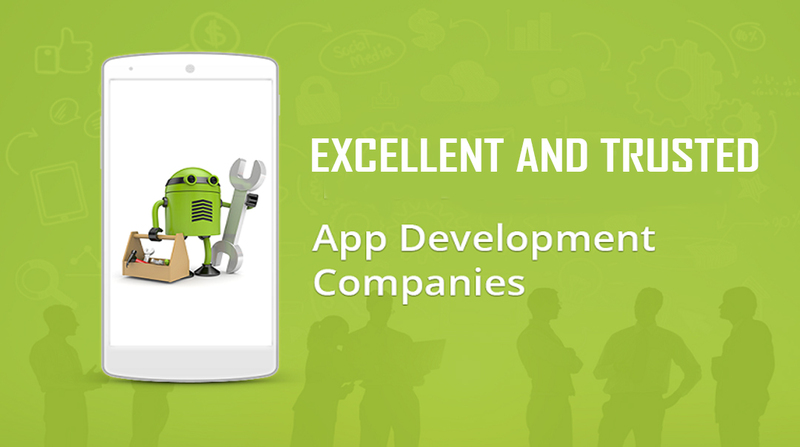 Currently one of the most demanded skills in Software Development field is Mobile App development. If one with such skill is thinking about taking this skill for business than definitely, he should. This is because that every web application has its related mobile application. This not only provides on click facilitation to people globally but also generate constant revenue. How to start a Mobile App Development Business with Little investment is a question that will be covered here. Listed below are the steps that should be taken into consideration while working in mobile development domain. Planning is not just about thinking about an idea and start working on it without thinking about this do and don’ts. It is about establishing objective and future goals. Things never go straight in-fact it always comes with complications. Finding competitors and room for improvement in this domain is always necessary as this gives a better idea of how much potential your targeted market has. Furthermore, making several other strategies that can be used when you get negative results or anti to your expectations. Before you start working on mobile application some important tips must be exercised to avoid future inconveniences. You have many options in this regard but choosing right one at right demands domain knowledge and good analytical skills. Some of the options that could be added into wish list are mobile applications related to sports, arts, health, food, and fashion. So, you can choose your niche now and start working on any of them. This is one of the important constraints that resides behind every single step you take for progress. Focusing on such application development that can use fewer resources and with minimum functionality can help you as a better investment. It can be seen that software development is not connected to complex ideas but smart ideas. The success rate in such business depends upon the type of community you are targeting initially. Try not to get into multiple things at a time as this not only makes things complex to handle but business starts consuming more resources without better outcomes. Always try to stay goal oriented, set initially. Alone enough in such business is not enough. You need a skilled people that can take part in several modules development in order to deploy software successfully. Always remember this thing that it is a slow process, no one gets quick results even if one is digging gold in mines. You may have to put some extra efforts so that business can grow bit by bit. Even you are skilled and ready to amidst every obstacle you still need plenty of side knowledge. Following the trending wave is a necessary aspect that generates business. If you will in ideas that were famous old ago but now they have no worth means that your efforts went all in vain. So it is very necessary to keep yourself updates with every trending application trend and following them in order to get better revenue. When any new customer need develops, that means it you can cash that need in terms of developing its instant digital solution. There are certain application development standards that are defined by Google App Store and iStore. Whenever you gather requirements to make sure that you yield a quality software that met every standard. Always prone your environment in such a way that it can stand with future threats by delivering the best solution. Make sure whatever application you try to develop should be scalable enough to cope with every emerging technology. Platform independent application always generates good outcomes and prove as an adaptable solution. The appealing front end is one of the key factors that boost up your business. It is the first things that define and tells about efforts you made while working on it. Easier and user-friendly front end leads more user satisfaction hence proving to assert for your startups. There is a certain flow of events that user wants to perform to in order to get desired results. So always think of new user which is a layman and has zero knowledge of how your application actually works. Mobile Application Development with no doubts has wide scope in future as well. Working in the right direction can yield good results as well. It is one of the most demanded skill in the market as well as every business is trying to compete in terms of better and instant and digital assistants.